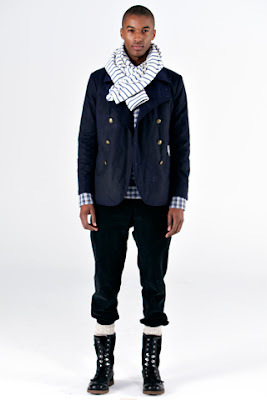 It hasn't been too long since discussing Bespoken, but with the release of their Fall 2011 line, it has to be brought up again due to their genius work. 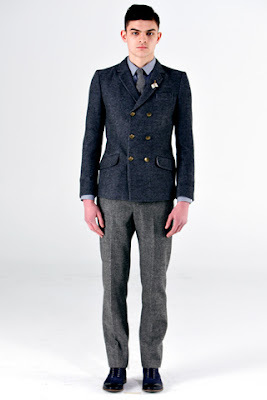 The two sets of brothers who are behind Bespoken's clothes respect the old school British design philosophy of tailoring the garments to their owner's bodies, but they always infuse the modern style of today. 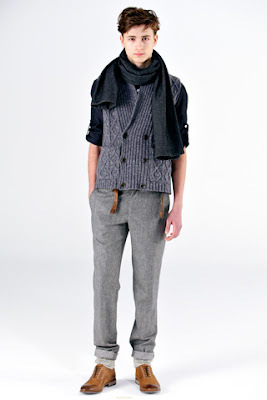 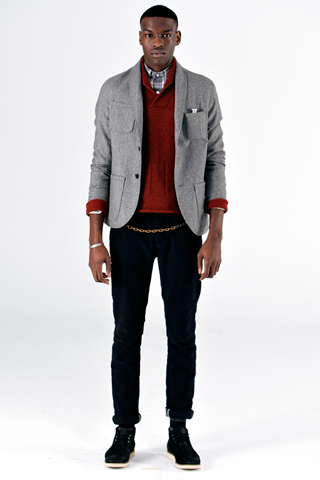 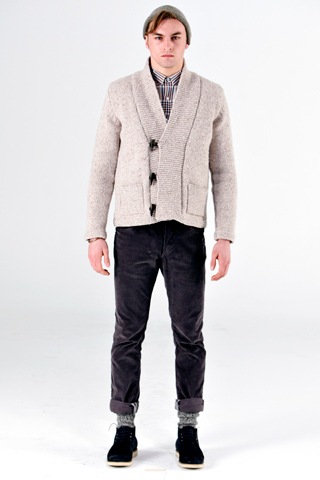 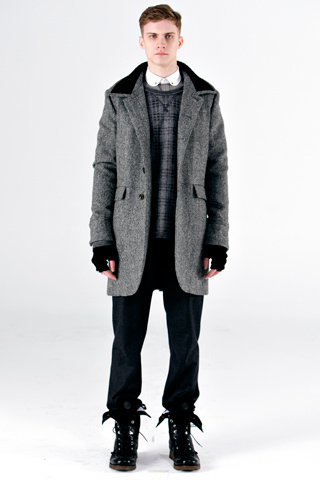 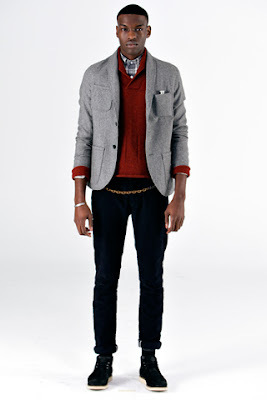 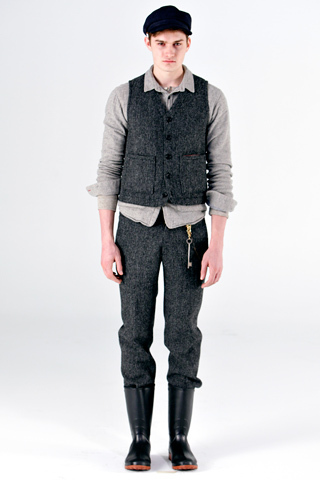 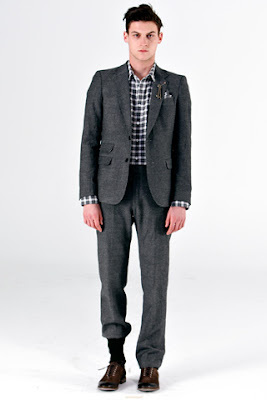 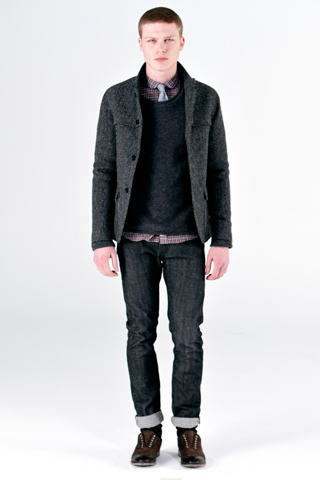 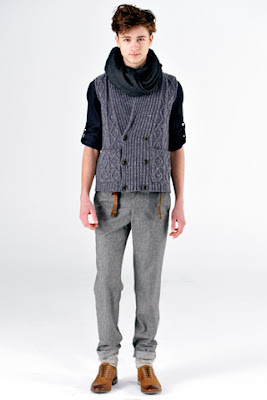 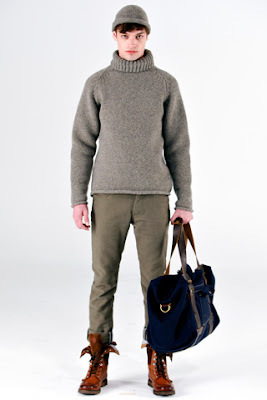 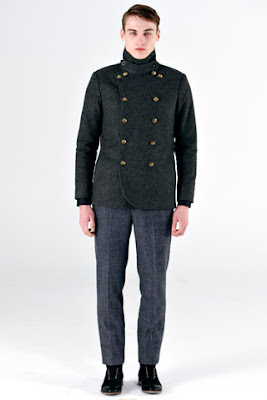 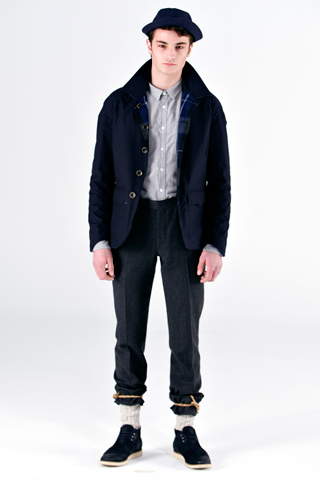 The wool-heavy collection is tasteful and rich and will let any man feel hip yet timeless. 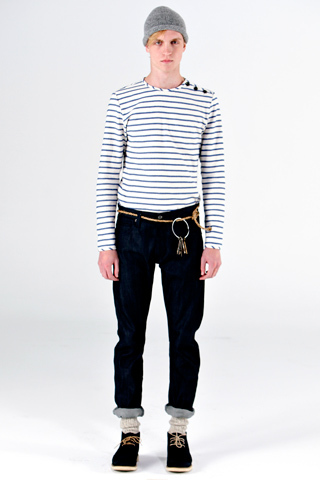 The collection generally seems to imitate a middle-class workman's life - imagine a worker in a british ship yard. 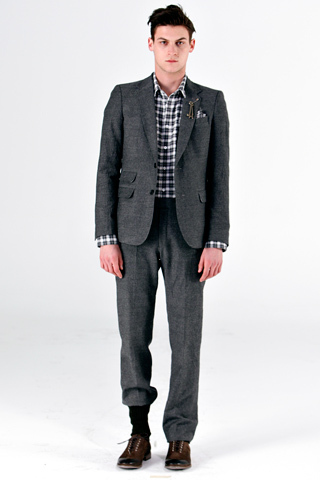 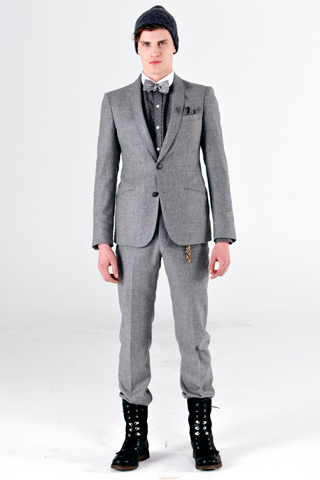 The rich fabrics are perfect for any man who wants a substantial outfit that will withstand anything. 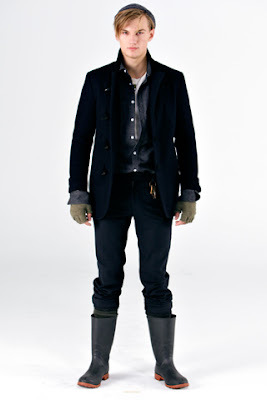 Lastly, there's the fondness of them putting a model in a pair of rain boots, I think it's about time that men start sporting the classic galoshes... they're very practical.